The 2018 Masters is here and for the first time since 2015 Tiger Woods will tee it up at Augusta National Golf Club. The man with four Masters victories is on comeback number eight. For the first time in a long time, Tiger looks whole and healthy, and it shows in his game. 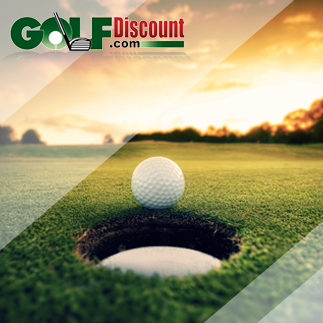 High finishes on the Florida Swing have the golf world buzzing about the possibilities of more wins for a golf legend who in recent years had difficulty completing a tournament, or even a round. Tiger’s latest return to competitive golf also stirs a strange brew of emotions and comes with heavy baggage. 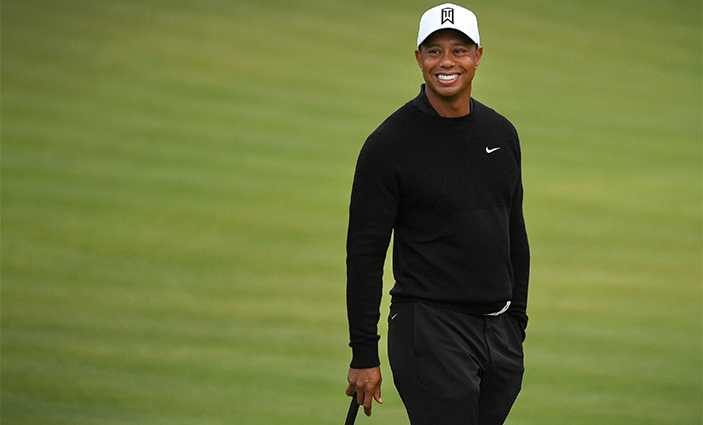 “The sentiments range from those who are tantalized by the possibility of seeing Woods do the otherworldly things he used to do when he dominated in the early 2000s, to Woods haters, who wouldn’t have a nice thing to say about him even if he found a cure for cancer,” wrote the New York Post’s Mark Cannizzaro in December when Tiger began his comeback in the Bahamas. Cannizzaro’s statement is extreme, suggesting there’s no middle ground, no gray area, when it comes to Tiger Woods. But there’s a ring of truth in his opinion, especially if gauged by social media. “Love him or hate him…” I can’t count the number of times I’ve seen that phrase attached to Tiger Woods on social media in recent weeks. Love him or hate him, Tiger Woods is good for golf and one of the most polarizing athletes of all time. Love the guy or hate him, @TigerWoods is the most compelling guy on the @PGATOUR . I hope he’s learned from his mistakes and is ready to bet a better person and champion. Love him or hate him, golf with Tiger Woods is just better. And I happen to love him. Glad to see him coming back. 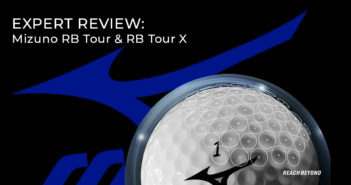 Examples are as plentiful as Titleist golf balls, from both ends of the spectrum. After a strong finish at the Valspar Championship, Woods posted on his Facebook page, where he has more than three million followers. There were over 900 shares and 3,500 comments. Most of the comments I read were enthusiastic and positive, but there was also the occasional nasty weed in the rows and rows of flowers. Tiger Woods has been spending more time signing autographs for his fans at PGA Tour events in 2018. “Terrible human and great golfer,” commented a man named Patrick. Why do fans feel so strongly about Tiger, and also feel the need—or impulse—to express it without any inhibition whatsoever? It’s true. The greatest athletes have often been polarizing figures—Muhammad Ali, Michael Jordan, Tom Brady, to name a few. People hate LeBron. People hate KD. Some hate Aaron Rodgers. Some people, believe it or not, even hate Tiger Woods – gasp! Years ago Woods even made it onto a notorious list: Forbes’ “10 Most Disliked Athletes in America.” He joined Lance Armstrong, Michael Vick, Alex Rodriguez and others. Sheesh. In addition, according to the golf media through the years, Tiger has his own “list,” a so-called enemies list, and is someone who holds grudges. “If you cross [Tiger and his mom], you are dead,” wrote author and Golf Digest contributing editor Tom Callahan. What’s also common today in sports is the “mob mentality” that’s enabled by the Internet. “Give fans a public forum, and it can become a mob mentality,” said Dr. Janet Johnson, clinical assistant professor at the University of Texas at Dallas, in a 2014 article at PsychologyToday.com. Yet “hate” is a highly charged word, one that warrants caution, especially in the sports realm. It gets tossed around a lot in our society, in forms such as “haters.” Sometimes it’s wielded like a weapon. And it’s often used to label anything that has the appearance of disagreement or dislike. In truth, few in the golf world (fans, players and media) really know Tiger Woods. We have an odd superficial relationship with him—and with all athletes, for that matter. We only know what we see, mostly from afar, which can create strong impressions and reactions, including things we like or dislike. There can be a lack of empathy when we experience a person in this way, often through a screen, projecting our expectations and hopes and sometimes spiraling into the darkness. Being a fan is having a license for our full-throated emotions. For reveling in heroes and villains. For attaching our identities to our teams and our players—and rooting and raging against the rest of the world. No need to justify or explain ourselves. To be fair, people have concrete reasons why they don’t root for (or even root against) Tiger Woods. There was his off-course scandal and on-course demeanor and behavior that many found distasteful. There’s also Tiger fatigue in this digital age—absolutely no escaping Tiger Woods (not his fault) because of obsessive media coverage. And there are those who would just say, “Tiger’s not my guy. I root for Phil.” Or “I love Jordan Spieth and Rickie Fowler.” Meanwhile, some of the gray-headed demographic still identify with old-school players such as Arnie and Jack, Tom Watson and Greg Norman, Seve Ballesteros and Nick Faldo. Tiger is the best thing to ever happen to golf. Not Jack. Not Arnie. Not true but true for you. Each of us views "best thing to ever happen'' for whatever sport thru our own lens. Arnie took the game from nowhere to somewhere. Everyone else built on his shoulders. Could It Be Race Related? With Tiger’s rise in golf, race inevitably became an issue in a sport that was predominately white. Do people dislike or even hate Tiger Woods because of the color of his skin? It would be naïve to think that’s unlikely or unusual in America, given its long and troubled racial history. Woods dominated a game built by the white golf establishment. The raw emotion on display, his confident demeanor from his widespread success has certainly contributed to the rampant hateful comments we still see today. In the below video—called an “unedited rare 1990 interview”—14-year-old Tiger Woods addresses race beginning at the 3:30 mark. No one has to like or root for Tiger Woods. But why hate him, especially now as this unexpected comeback gains traction? This Tiger looks, talks and acts different. Based on outward appearances, he is pain-free, smiling and friendlier. On social media he compliments players like Rory McIlroy after his recent win at the Arnold Palmer Invitational. He was practically gushing about Phil Mickelson after the old warhorse won in Mexico. Tiger is even civil and gracious with the media now. They must be in shock! Tiger Woods flashes a smile from the fairway. This Tiger is reminiscent of that happy kid who said “Hello World!” in 1996, and went on to change the golf and sports world as we knew it. Here’s another chance for the golf world to embrace the greatest golfer of this era. America, in particular, loves redemption stories. Will Tiger Woods attract new fans, perhaps former detractors who will now pull for him during what could be a historic comeback? Your turn. Please feel free to share your comments below.